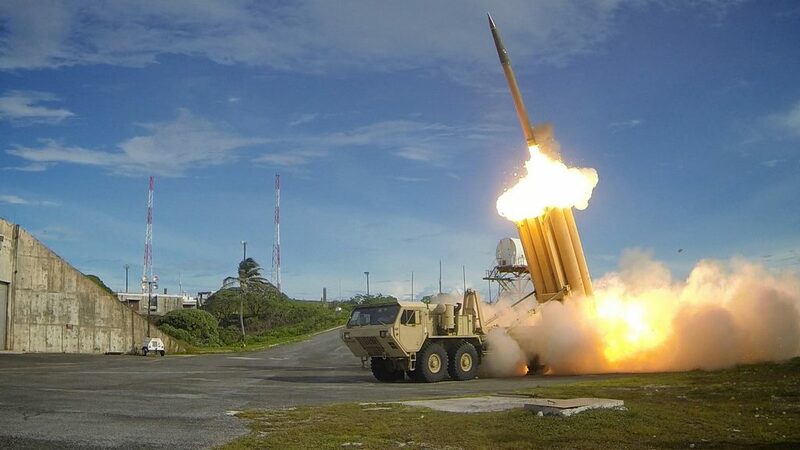 In 2016, the US and South Korea announced its decision to deploy THAAD, an antimissile battery built to intercept short- and medium-range ballistic missiles. 2016. (Mark Holloway/Flickr). In July 2016, in response to North Korea’s rising nuclear threat, the US and South Korea announced their decision to deploy the Terminal High Altitude Area Defense (THAAD), an antimissile battery built to intercept short- and medium-range ballistic missiles. China quickly objected to THAAD on the grounds that it would weaken its nuclear deterrence capabilities and decrease Chinese influence in the region. To coerce South Korea to disable and remove THAAD, China launched a year-long campaign of economic retaliation, targeting the consumer goods, entertainment and tourism industries. Though it faded quickly and quietly, the THAAD dispute reveals much about the current limitations of China’s power, as well as its potential. China specifically raised concerns that THAAD’s X-band radar, which monitors THAAD’s surroundings, had too large a scope and could gain information about China’s military actions further inland. However, US defense officials have pointed out that an existing, similar instrument deployed in Japan has a comparable, marginally smaller scope. 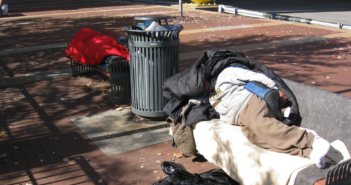 While China’s claims were technically weak, they were understandable symbolically. Many Chinese found it concerning for the US to deploy a military weapon on neighboring South Korea’s territory – a neighbor who had been recently improving relations with China. After over a year of tensions, in late October 2017, South Korea and China suddenly announced that they would work towards improving bilateral relations. South Korean media content started re-appearing on Chinese platforms that had previously stopped showing it, the consumer goods and tourism industries began to pick up their lost momentum, and the short-lived protests against the South Korean conglomerate Lotte Group had mostly ended. Looking closer, the limited impact of its economic blows reveals the boundaries of Chinese power. The first retaliatory action to make headlines was limiting Chinese viewers’ ability to access and consume South Korean entertainment. Popular South Korean celebrities also cancelled or suspended public appearances in China. Even within the gaming industry, Beijing tightened regulations to make South Korean games’ entry into the market more difficult. These industries have felt some impact from the ban and experienced a decrease in the trade surplus of media content in the first nine months of 2017. Nevertheless, the entertainment industries were not significantly hurt by China’s ban, as they expanded their presence in other markets. During the THAAD dispute, many Korean celebrities like the popular boy group EXO had suspended or limited their public appearances in China. 2016 (https://www.youtube.com/user/mang2goon/about / Wikimedia Commons). China also targeted certain South Korean consumer products, including food products, cosmetics, and automobiles. South Korean carmakers Hyundai and Kia both experienced the effects of the THAAD dispute and saw significant drops in Chinese sales. Although many companies have felt a negative impact, the decrease in some sales were compounded by other factors like boycotts from Chinese citizens and not necessarily strictly by Chinese policy. The South Korean cosmetic giant AmorePacific cited both stagnation of the domestic economy and the decrease in tourism after March 2017 as reasons for slowing sales growth and decreased operating profit. As China was and still is the number one provider of tourists for South Korea, tourism was the industry that experienced the largest setback during the THAAD controversy. Chinese policy was partially responsible, as regional travel companies suddenly stopped selling package tours to South Korea, but other factors like concerns for safety and political tensions, anger at Lotte Group, and increased negative perceptions of South Korea also contributed to decreased tourism, one study showed. Overall, the number of tourists fell by 3.29 million in the first nine months of 2017 as compared to 2016, leading to a total $6.8 billion loss for the tourism industry. The hardest hit by this economic dispute was Lotte Group, the South Korean conglomerate that sold the South Korean government the land it used to deploy THAAD. Before the conflict, Lotte owned more than 100 department stores and supermarkets in China, but since February 2017, the Chinese government closed more than 70 of them, citing safety concerns. Lotte Group closed the remaining stores after large protests at numerous storefronts. Recently, Lotte Group announced that it would sell all of its stores in China, abandoning its previous effort to expand its presence in the Chinese market. 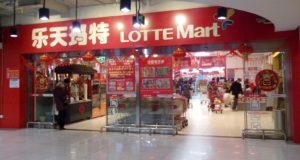 Since the THAAD dispute, Lotte Group was forced to abandon many Lotte Marts in China. 2013. (螺钉/Wikimedia Commons). Despite all of these negative impacts, the South Korean economy as a whole did not suffer significantly from Chinese retaliation. In fact, total Chinese exports increased in 2017; in the first eight months of that year, South Korean exports to China rose by 12 percent. Despite China’s economic might, many Chinese businesses rely on South Korean companies as part of their supply chains, which helps explain why only three main industries were hit. Though it came out largely unscathed by China’s economic attacks, it would be difficult to argue that South Korea – and the US – definitively won this dispute. Granted, THAAD is still fully operational today. However, during reconciliation talks, Seoul assured Beijing that it would not seek additional THAAD deployments nor join a trilateral military alliance with the US and Japan. China may not have achieved its full desired outcome, but it did succeed in placing some boundaries on its neighbor’s future behavior. Meanwhile, the popularity of domestic boycotts bolstered the Communist Party of China’s (CCP) power at home. More than anything, this dispute demonstrated the scope of China’s global clout. Its failure to effect THAAD’s removal revealed that its international influence remains limited by its integration into the global economy. In other words, China can only tolerate cutting off its corporations from foreign markets up to a point. Moreover, China clearly still faces bigger security questions surrounding North Korea. However, as China’s economic might continues to grow, it could become a more viable tool for asserting Chinese power globally, as well as garnering domestic support for the CCP. In the coming weeks, the remnants of this heated dispute will fade as the region turns its attention to the 2018 Pyeongchang Olympics. With North and South Korea planning to march under a united flag and create a joint women’s ice hockey team, there are modest signs of peace and hope. But even as the world comes together for 17 days of symbolic unity, the underlying distrust in the region caused by this conflict cannot be swept aside with colorful flags and cheerful processions. While nations applaud each others’ athletic accomplishments, the THAAD battery lies a mere 125 miles away, casting an uneasy shadow over the celebrations. 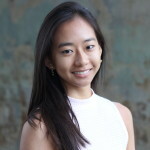 Rebecca Cheng is a senior studying International Relations with a minor in East Asian Languages and Cultures at the University of Southern California. Her research interests include Chinese and European foreign policy. She has conducted research on European foreign policy for Professor Steven Lamy by analyzing primary documents and compiling country narratives. Rebecca has studied intensive German and Mandarin in Berlin, Beijing, and Shanghai, and is now conversational in both languages. This past spring and summer, she worked extensively with a Chinese NGO to provide better English language education for migrant children in Shanghai and children in rural areas in Hunan province. On campus, she currently serves as the Editor-in-Chief of Glimpse and the President of Break on 2 Latin Fusion Dance Team.